State District Judge Rodolfo “Rudy” Delgado is currently without a paycheck, having been suspended without pay by the State Commission on Judicial Conduct last week following his indictment on federal bribery charges. If found guilty of any of the charges, Delgado, 64, is looking at the loss of his job and its six-figure annual salary in addition to possible prison time. The one thing not at risk is his state pension, which at the very least, amounts to $70,000 a year. 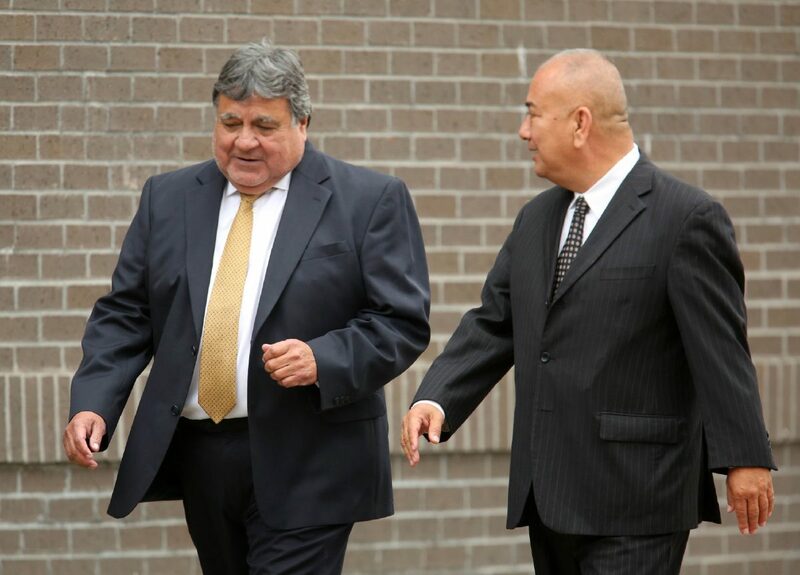 Federal prosecutors allege that from November 2016 to January 2018, Delgado accepted a total of $6,020 in cash bribes from one attorney in exchange for setting bond for three clients accused of probation violations. Were Delgado to be found guilty by a jury, or if he accepts a plea bargain as part of a reduced sentence or lower-level charges, he would automatically be disqualified from serving on the bench upon exhausting the appeals process. There would then be no reason for the commission to hold formal proceedings to have Delgado removed from the bench for official misconduct, said Executive Director Eric Vinson. “If convicted of a felony-level crime, (Delgado’s) going to be automatically removed so there’s not going to be formal proceedings, so he would not be subject to this withholding of his retirement,” Vinson said in regards to the government code. Individual retirement information isn’t public information, but a judge who earns $140,000 a year — the baseline salary for district court judges in Texas — would earn a base Service Retirement Annuity (SRA) of $70,000, or half the annual salary, according to information from the Employees Retirement System of Texas. The SRA increases by 10 percent if a judge has not been out of office for more than a year at retirement. Since he first took the bench in 2001, Delgado has likely contributed more than $150,000 from his salary to his retirement account based on the fund’s member contribution rate, which has ranged from 6.6 to 7.5 percent over the past two decades. Delgado pleaded not guilty Monday to the charges against him, which include three counts of federal program bribery and as many counts of violating the Travel Act. A trial has been tentatively set for May 7. If acquitted, the State Commission on Judicial Conduct will lift Delgado’s suspension and his salary will be reinstated. His term ends in 2020.